What's shakin' brideys? It's Super Stylish Sunday, and I could not be more excited to share today's post! 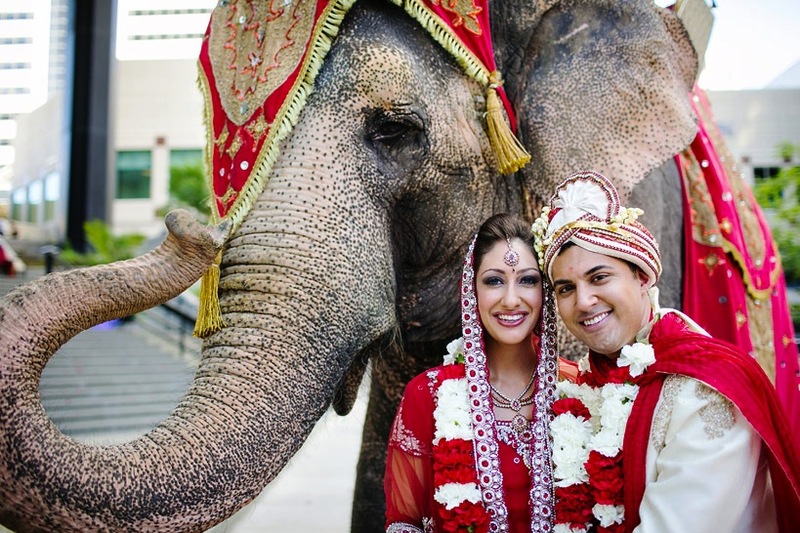 In my wedding planning experience, I have had the pleasure of planning several Indian weddings. And it's truly an incredible experience for everybody involved. I mean, look at the picture above! Um, that's an elephant! Right? AMAZING! And that elephant (sometimes a horse) is used ceremonially to bring the groom, accompanied by his family, to the bride... A Northern Indian tradition. 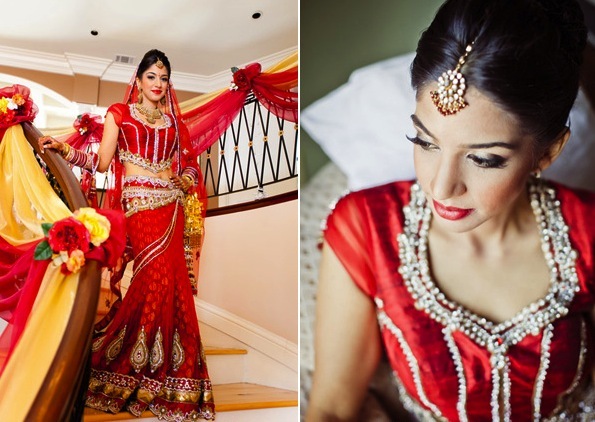 I love all of the color typically often associated with an Indian wedding. From the beautiful wedding lenghas, saris, jewelry, and henna, to the mandap, wedding cakes and décor, there is just so much to look at and absorb. The cool thing, brideys? You can incorporate this into your wedding no matter what your background is! Seriously, the bride in blue? How absolutely stunning is she? I am totally in awe when I look at her. Or the beautiful bride in her red lenga and bangles? Just amazing. The bangles are always incredible to me. I have received many as gifts, and not only do I feel super cool when I wear them, but it's nice knowing that they are authentic, as they were purchased in India, not at store nearby. 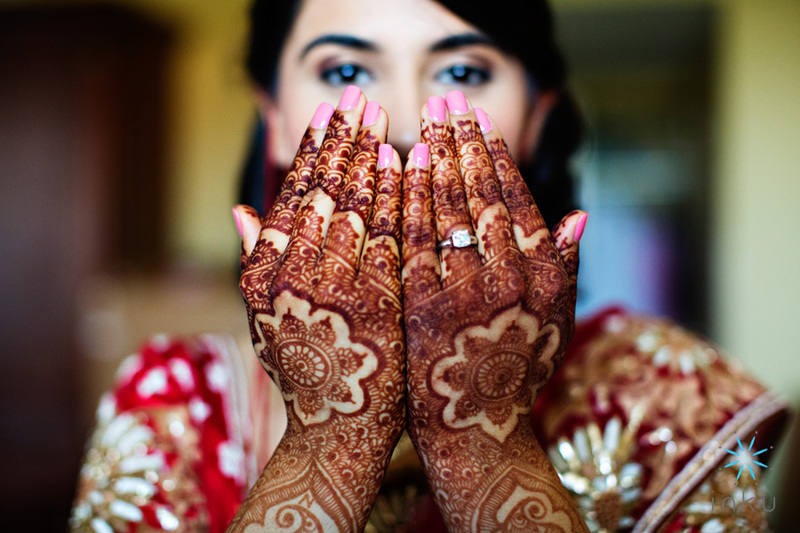 The henna this bride is rockin' is probably some of the most beautiful henna I have ever seen. I love her pink nails, and the rock on her finger shining through. It takes time for henna to be applied to the body; think of it as an artist creating a masterpiece.